I am going to teach all of you and it is probably the hardest for me for two reasons. One, everyone learns differently and some people may not find these tips useful. This is okay because everyone is unique and has there own way of planning and organizing. Two, Sometimes your method of planning a story and organizing yourself changes, so don’t be afraid to change that and take risks. Today we will be learning to Organize and Plan out Story Releases. This will be an interesting topic because everyone writes at different paces and depending on how complicated your coding is will depend on your timing to. Organization is a key I find to keeping yourself on task and focused. 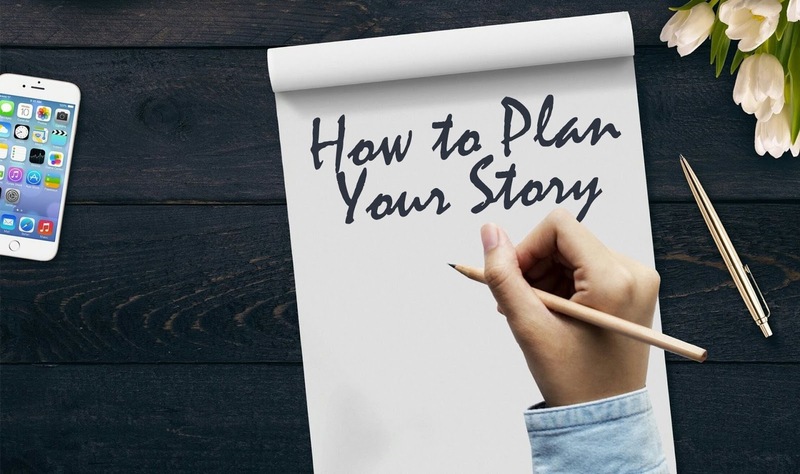 Here a few tips that can help you get organized for your story. Organize your time for when you want to write . Everyone has a life outside of episode. We are not robots that automatically write the story for us. Make time for yourself that when YOU want to write and work on your own story. Plan out days on a calendar (Either in your phone, computer, or an actual calendar) and write on the story you will be working on for that day and how long. This way you can organize your time throughout the day along with your social life as well. Time Management. Time yourself one day when your writing to see how long it take your to write an episode. If it takes more than one day then make sure to keep track of how long you wrote on that day. This way you can organize your time to write and also give yourself a sense on how long your updates will take. Put your phone on SILENT. Cell phones and social media can be a HUGE distraction. You do need breaks when you do write but plan them out and for how long. Cell phones can be a distract and could throw your organization off. Social Media. If you’re excited about your story don’t be afraid to advertise little sneak peeks of your story. You will get people interested in your work and might even get some fans. Don’t be afraid to plan out some contests as well for your story where someone can win to be a minor or background character for your story. Writer’s Block . If one day you don’t feel like writing or just can’t seem to get your head into the story. Take A Break. Do things that help get your creativity and inspiration going. Have Fun. If your not having fun writing your own story then your readers will pick up on that and not enjoy it. Make sure your passionate, enthusiastic, and excited about your work. Don’t release a lot of stories at once. I have done this mistake and I am paying for it. If you’re having a lot of ideas for different stories write them in a notebook, or document on your computer. This way you can always go back to them once your finished your story. Check Your Story Title. If you have a title in mind for your story search the title you have in mind on the episode app to see if anyone else is using your title. This will help people find your story in the app. Next, I’m going to give you some tips on how to plan out your story releases. Make a PLAN for how you want your story to go . Everyone knows that there are three parts to any story. The Beginning, The Middle, and The Ending. Plan out major points on how you want your story to go. This will also give you a rough idea on how many episodes/chapters you want for your story. Also plans can change ! If you don’t like something you planned originally you can always change it. Notebooks and Calendars . I made this a point because sometimes you have too many ideas in your head and you start a bunch of stories and then have a hard time keeping up with them (been there done that). So what you can do is write all your ideas for future stories in a notebook (like your characters, plot, title, etc.) This way you don’t forget about your ideas and that when you feel like your ready to start another story you have all you ideas planned out. A Calendar is also important in planning because you can time out when your stories will update, contest you run come to a close, and an approximation of what date you want to publish your story, release new episodes/chapter, and end your story or a season of your story. NEVER RUSH AN EPISODE. If you’re rushing to get your episode out, people will notice it and feel that you didn’t take the time to really polish the chapter. I have rushed episodes before and I go back and polish them up after I see how unpolished and rough they are. Your readers can wait and will be happier that you took the time to polish up your story. Unexpected Events. Sometimes things happen in our lives suddenly and they will affect your updates for stories. We cannot control life and when life happens sometimes it takes a while for us to bounce back. If something unexpected happens or your updates for your story will be delayed make a post about it . This way your reader will understand that you planned the next update or your story to be out but life got in the way. Haters. There will always be some internet troll or someone out there in the universe who will not like your work. Instead of giving them amo and seeing that they ruffle your feathers you can do a few things. Politely thank them for their fan mail, Ignore the comment and delete it, report it (If it is really bad), and laugh it off. You are not going to be able to please everyone and you shouldn’t change your story for NO ONE. Be proud of your own work because chances are the hater is just jealous about you or they are trying to get a rise from you. Laugh it off and then do one of the three things mentioned. If you ever receive a fan mail that is very hateful and don’t know what to do don’t be afraid to direct message authors on instagram and ask them there thoughts on what they would do (Can always ask me). Plot . Keep your plot simple and clear so that your readers will understand what is exactly going on. If you have too much going on at once, your readers will get confused and not understand what is going on in your story. Plan out how your story is going to start, your climax that will change everything and the ending of your story. This is called your story line. You can plan this out with points, charts, or whatever you please. Once you have your story line planned out break those parts down into chapters and what points you want to highlight in that chapter. Characters . Give your main characters a backstory, personality, age, characteristic, like, and dislikes. Think of your characters and give them a personality that gives them life, it will be very rewarding when a reader tell you they connected with a character because they can relate to them. This is all the advice I am able to give you as everyone has their own way to organize themselves and to plan for themselves. These are just a few tips I use on a regular basis when planning out a story. I have enjoyed this workshop with all of you can I am honestly so grateful to all of you for giving me a chance. If you have any questions feel free to email me or direct message me on instagram.